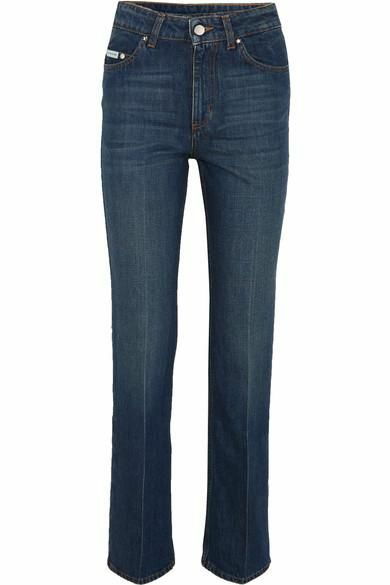 Dark-wash denim is making a resurgence this fall. Propelled in part by the rich and refined indigo hues that strutted down the fall runways at Calvin Klein and Christian Dior. 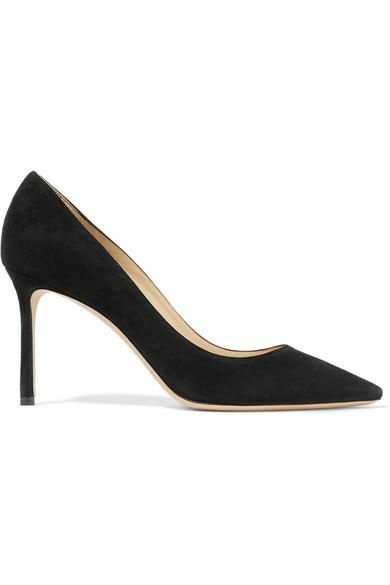 Undeniably a welcome addition to any fashion girl’s autumn wardrobe, not only do dark-wash jeans make an outfit look instantly more polished, but they also have the versatility to take you from meetings to margaritas and everywhere in between in sophisticated style. 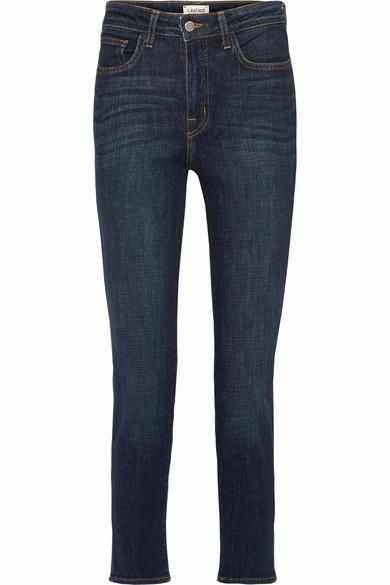 So how do you make your dark-blue jeans look immediately more modern? By pairing them with the right shoes and accessories, of course. 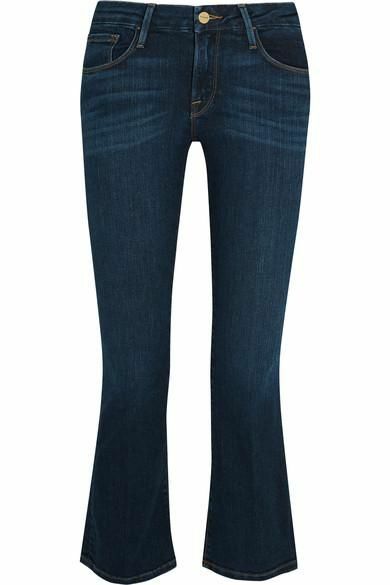 Scroll below to see three ways to style your dark-wash jeans this season. 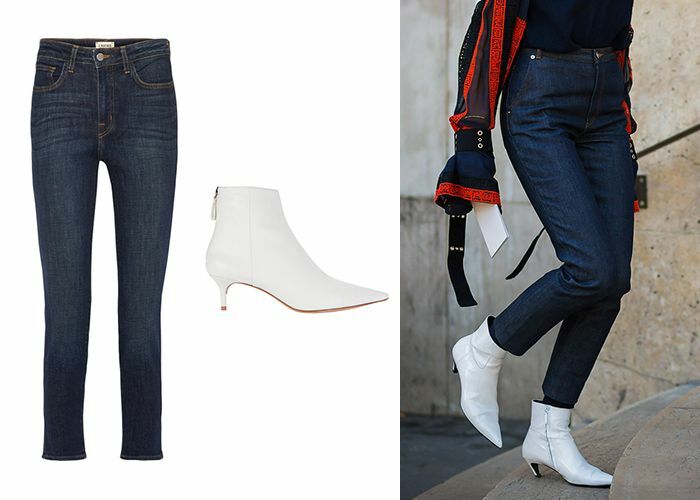 Slim-fitting, high-waisted navy jeans worn with this season's white ankle boots make for an incredibly chic and sophisticated pairing. Take a cue from the fall runway at Christian Dior and layer a straight-leg indigo-blue silhouette over thin, opaque black tights. 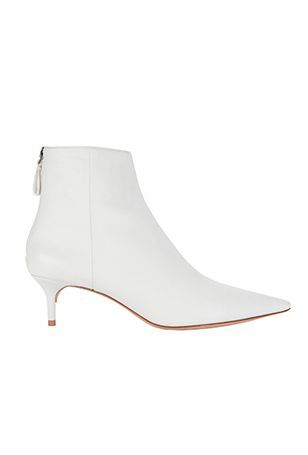 Offset the straight cut with black pointed-toe pumps for a fresh and enticing new way to wear your denim this season. 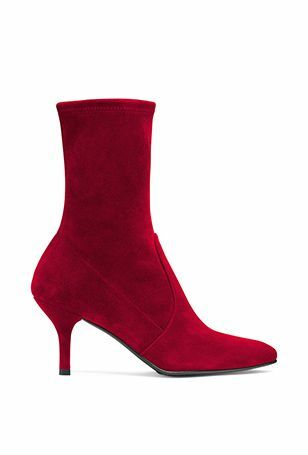 Add some attitude to your cropped, flared dark-wash denim with red sock boots. This refreshingly cool look will take you from desk to drinks in the utmost style. Up next, the fall trends every fashion girl is wearing.